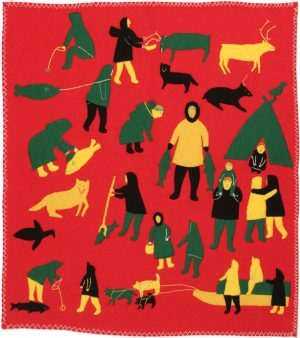 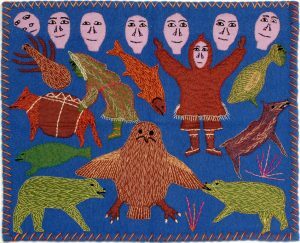 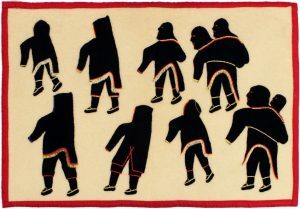 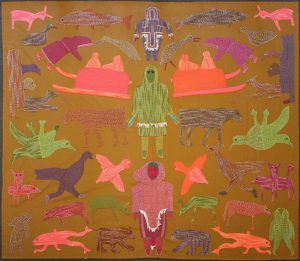 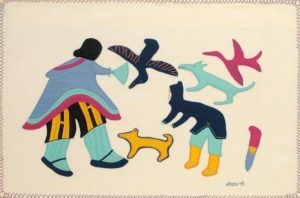 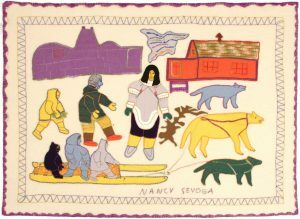 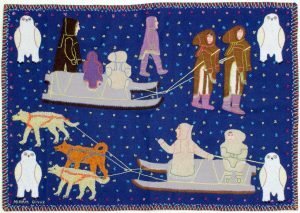 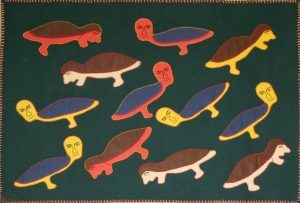 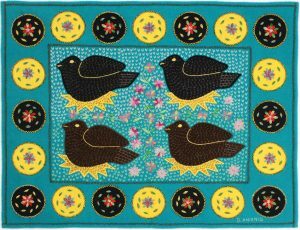 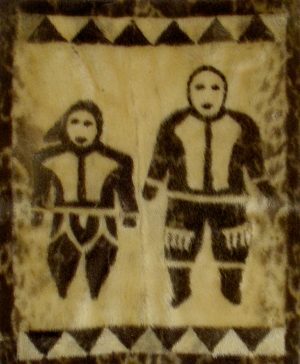 From the 1960’s on Baker Lake artists have excelled in the creation of wall hangings for sale. 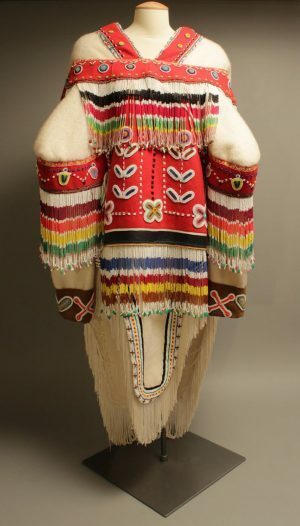 Primarily made from felt appliqué on duffel, these are often enhanced by embroidery and occasionally beadwork and skin appliqué. 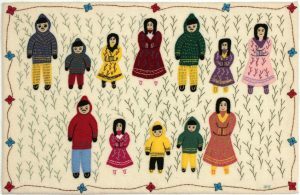 Our inventory includes a full range of wall hangings to buy from the 1960’s through to a new generation of talented artists working today.